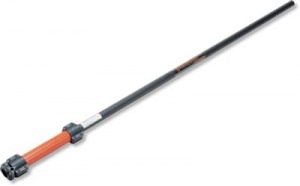 The Tanaka EXT200 extension pole attachment is designed to be used with the TPH230S to get to those hard to reach areas. The Cobra P20E Pole Pruner allows you to keep your feet firmly on the ground whilst tending to fruit trees or thinning out shrubs and bushes. Powered by a 750 watt motor. Allowing you to prune branches you couldn't otherwise reach, this pole pruner features a 20 cm cutting capacity, a split-shaft for easy transportation and storage, and single lever control for simpler use. A 1. 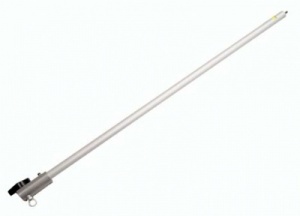 2 m / 5 ft extension pole for use on the Echo PPT265ES pole pruners. 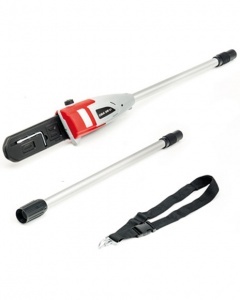 This cordless pole saw benefits from an included 18 V / 3.0 Ah power pack, its 3.5 m/s chain speed and 20 cm cutting length, plus its impressive 2.95 metre telescopic handle. A lightweight, professional cordless pole pruner from Husqvarna, enjoying the benefits of easy use, comfortable and quiet operation plus an impressive reach of 4 metres. Sold as a shell only, with battery and charger available separately. A lightweight and powerful cordless pole pruner ideal for property maintenance or tree care professionals. Agile and easy to handle, it has a total length of 2.4m. Sold as a shell only, with battery and charger available separately. 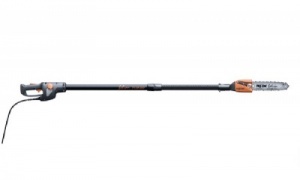 A powerful cordless telescopic pole pruner from STIHL, with 1/4" PM3 saw chain and total length from 2.7m to 3.9m. Sold as a shell only, with battery and charger available separately. 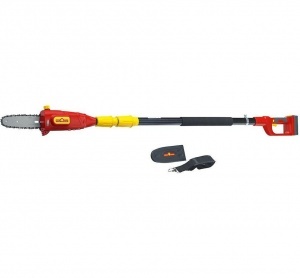 A powerful cordless pole pruner, fitted with a fixed shaft totalling 2.4m in length. Perfect for property maintenance and tree care professionals. Supplied as a kit complete with a battery and charger. Designed for professional use, this petrol pole saw provides excellent reach with superior ergonomics and balance, so you can work in comfort and safety. It has a fixed length of 240 cm, while also benefiting from low vibration technology and easy starting. The Echo PPT-265ES pole pruners are for the toughest applications. Features a mounted 12 inch chainsaw head on a telescopically adjustable rigid shaft..
A professional pole pruner for orchard and arborist work. 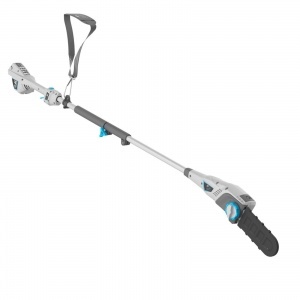 A telescopic pole pruner with a maximum length of 397 cm, this petrol machine from Husqvarna allows you to tackle hard to reach vegetation while operating in comfort and safety. This model also benefits from Smart Start technology and the Low Vib system, ideal for comfortable, professional use. A high performance pole pruner ideal for professional tree maintenance and orchard work. 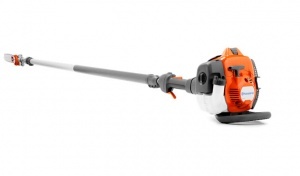 Benefitting from a light weight, with a 4-MIX STIHL engine and superb ergonomics. With a total length between 270 and 390 cm. 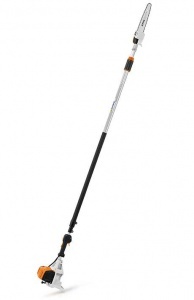 The SELION Pole Saw features a 130cm carbon fibre pole. 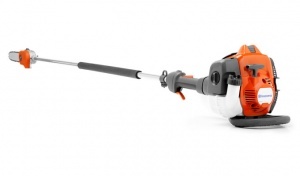 Powered by the Advanced Pellenc 1200 watt motor, with a 10 inch cutting bar. Shell only. The SELION Pole Saw features a 180cm carbon fibre pole. 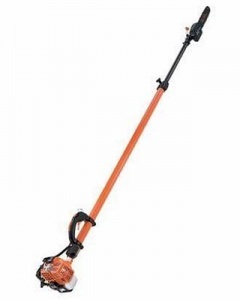 Powered by the Advanced Pellenc 1200 watt motor, with a 10 inch cutting bar. Shell only. 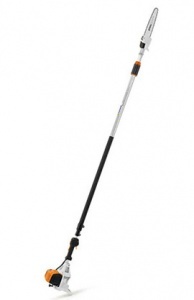 Powered by the Advanced Pellenc 1200 watt motor, this pole pruner features a 10 inch cutting bar and a telescopic pole, which is 150cm - 200cm. 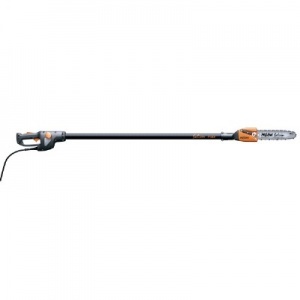 Powered by the Advanced Pellenc 1200 watt motor, this pole pruner features a 10 inch cutting bar and a telescopic pole, which is 220cm - 300cm.